Parking Management for Smart Growth shows how to create a strategic parking management program that is comprehensive, coordinated, and supportive of local goals. It explores new opportunities for making the most from every parking space in a sharing economy and taking advantage of new digital parking tools to increase user interaction and satisfaction. Examples are provided of successful approaches for parking management from Pasadena, CA, to London, England. An introduction to the basic elements of parking management. Learn how managing parking in a strategic, collaborative manner can reduce the amount of required parking while improving customer and stakeholder satisfaction. A step-by-step strategic planning process for parking management. Practical approaches to issues of politics and community participation, and to technical challenges such as setting prices, implementing shared parking agreements, meter equipment, and enforcing parking. Introduction: What is a Parking Space Worth? Why Not Rely on Pricing Alone? Richard W. Willson, Ph.D., FAICP, is Professor and Chair in the Department of Urban and Regional Planning at California State Polytechnic University, Pomona. 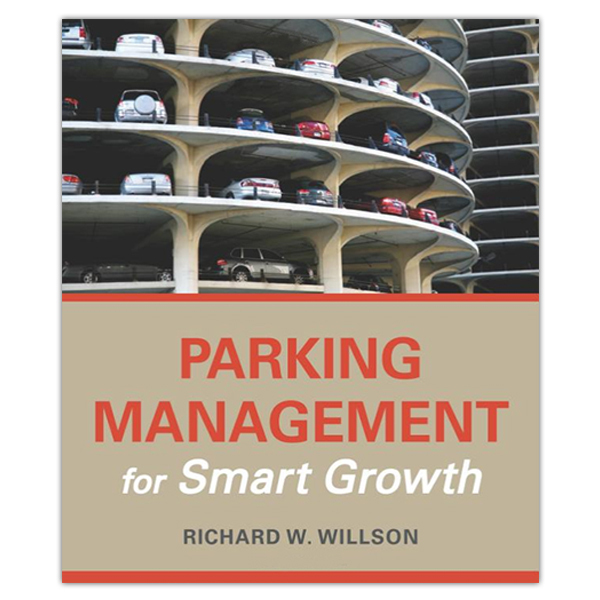 Parking Management for Smart Growth is guaranteed. If you are not 100% satisfied, you may return it within 30 days for a full refund.